Today’s nursing students are busier and more pressed for time than ever. 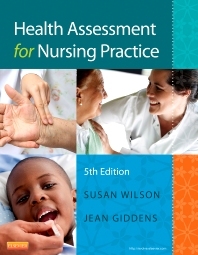 The 5th edition of Health Assessment for Nursing Practice by Susan Wilson and Jean Giddens is designed to help you make the most of your study time with a user-friendly approach and a complete collection of flexible, efficient learning tools. It's everything you need to master the core assessment skills essential for clinical practice!